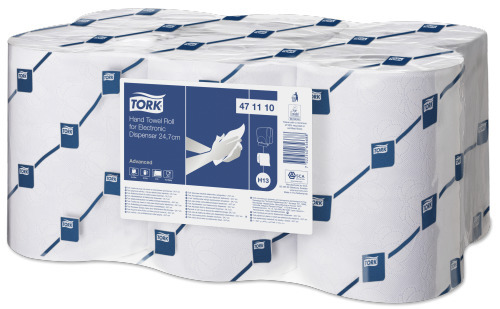 The Electronic Dispenser for Tork Hand Towel Rolls provides one-at-a-time dispensing that reduces consumption and improves hygiene. 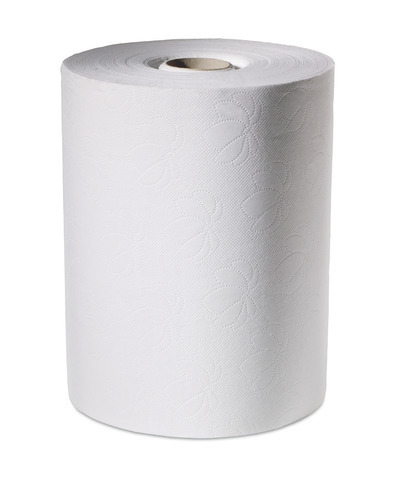 The Advanced rolls have a high capacity which ensures paper availability, and are ideal for busy washrooms like in schools and airports. Fits in blue and white 24,7cm electronic dispenser (formerly enMotion and unbranded). This product is produced at NOKIA mill, FI and certified according to ISO 14001 (Environmental management systems), ISO 9001, and OHSAS 18001.